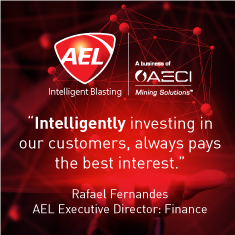 This year’s Investing in African Mining Indaba (4-7 Feb) will be the 25th in the series and the first to be held under the aegis of the event’s new owners, the LSE-listed ITE Group. It is expected to attract over 6 000 delegates and the organisers say it will be bigger and better than ever, cementing its reputation as the largest mining investment event in Africa. The exhibition area at Mining Indaba 2018. As always, this year’s event will have participation by some of the biggest personalities in African mining. Among those whose views are likely to prove especially interesting are Mark Bristow, previously CEO of Randgold Resources and now of Barrick (which has absorbed Randgold); Robert Friedland, whose company Ivanhoe has three of the biggest and best mining projects in Africa; Endeavour Mining’s Sébastien de Montessus, who has presided over a stunningly successful new mine build programme in West Africa; and Resolute’s John Welborn, who is determined to make the company’s Syama underground mine in Mali the most advanced of its type in the world. The CEOs of virtually all the mining groups active in South Africa are, of course, scheduled to speak. They include Neal Froneman of Sibanye-Stillwater, Mark Cutifani of Anglo American, Kelvin Dushnisky of AngloGold Ashanti, Deshnee Naidoo of Vedanta Zinc International, Steve Phiri of Royal Bafokeng Platinum, Chris Griffith of Anglo American Platinum and Nico Muller of Impala Platinum. Most African countries with mining resources will be also present, in many cases being represented by their mining ministers – for example, Winston Chitando (Zimbabwe), Tom Alweendo (Namibia), Richard Musukwa (Zambia), Keketso Sello (Lesotho) and, of course, South Africa’s Gwede Mantashe, who will give the opening address at the Mining Indaba. Interestingly, the Ghanaian delegation will include not only the country’s Minister of Mines, Kwaku Asomah-Cheremeh, but also its President, Nana Akufo-Addo, who will be one of the ‘highlight’ speakers. Delegates to this year’s event can expect to see almost every issue relevant to African mining – from South Africa’s Mining Charter through to sustainability and resource nationalism – being addressed in the various presentations, workshops and panel discussions. Worth looking out for will be the ‘Mining 2050’ programme, which will look at the impact and benefits of digitalisation on the mining industry and which will also give some insight into what the ‘mine of the future’ might look like. The exhibition area will attract well over 100 companies and organisations, including mining companies, EPCM contractors (such as DRA and WorleyParsons), mining consultants, mining contractors (Murray & Roberts Cementation and Moolmans will both have stands) and equipment suppliers. Countries represented will include Australia, Canada and India. Brand new at this year’s event will be a ‘Leaders of Tomorrow’ competition, part of the Mining Indaba’s Young Leaders programme. Four finalists will be chosen to present their ten-minute pitches to the judges on the Main Stage of Mining Indaba. The winner will be awarded with mentoring time from each of the judges – who include Professor Adam Habib, Vice-Chancellor and Principal, Wits University – over the next 12 months to support their career progression, as well as other prizes and publicity opportunities. “The competition builds on our drive to support young talent in the mining industry and help close the skills gap,” comments Alex Grose, Mining Indaba Managing Director. This year’s event will also see the third ‘instalment’ of the popular Investment Battlefield competition, with event organisers looking for Sub-Saharan Africa’s most promising companies with a market capitalisation of US$50 million or below. This year’s shortlist will be invited to give ‘Dragons’ Den’ style, five-minute pitches in front of a live audience and a panel of top judges, including senior representatives from JP Morgan Asset Management, VanEck, International Finance Corporation and Orion Resource Partners to name but a few. Judges provide instant feedback and featured projects are grouped together depending on their commodity and lifecycle stage. Contenders in the competition this year will include Consolidated Nickel Mines, which is redeveloping the Munali nickel mine near Lusaka in Zambia; Orion Minerals, which has the Prieska zinc/copper project in South Africa’s Northern Cape Province; Symbol Mining, which recently started construction of a 40 t/h DMS plant at its Macy lead/zinc project in Nigeria; Theta Gold Mines (previously Stonewall Resources), which holds the Theta gold project near Pilgrim’s Rest in South Africa; Pelangio, which is exploring in Ghana; and Deep South, which is pursuing the Haib copper deposit in southern Namibia.